Turn your website, emails, and social channels into revenue generators. More and more donors are supporting the causes they care about using convenient online options that make giving quick and easy. 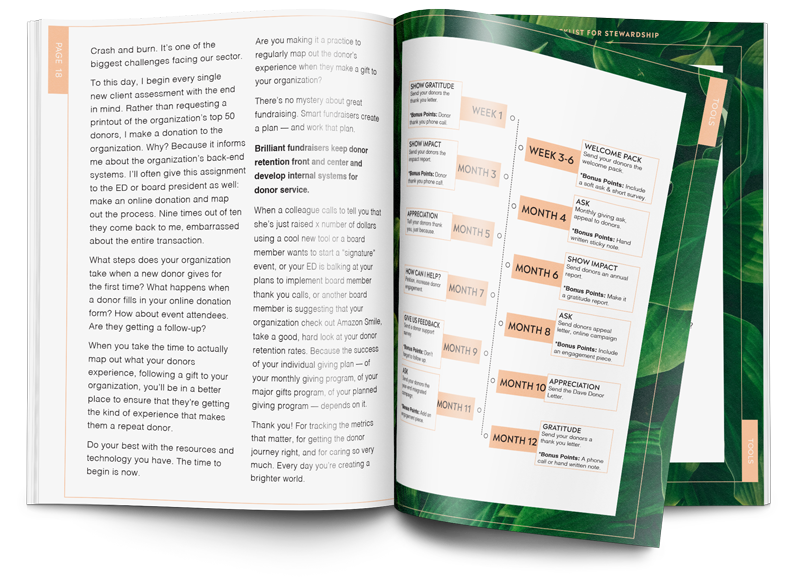 The Online Fundraising Growth Track is designed to help your organization adopt tools and strategies that will bolster your internet presence and optimize your fundraising campaigns for an online and mobile audience. Sending donors to a generic third-party donation form or PayPal page can be a confusing experience for them. With DonorPerfect Online Forms, you can style your donation form to reflect your organization’s logo and colors to provide your donors with a giving experience that’s consistent with your website and emails. Your organization is missing out on matching gifts for two reasons. Either donors don’t know their employer offers matching gifts, or their matching gifts policy is too time consuming or complicated to navigate. Double the Donation takes the hassle out of matching gifts for your donors by giving them the option to quickly check if their employer offers matching gifts right from your donation form. Crowdfunding allows donors to fundraise on your behalf by inviting friends, family, and colleagues in their social networks to participate in promoting and contributing to your campaign. From charity races to goal-oriented campaigns, raisin offers a comprehensive module that combines event websites with personal and team pages to raise more money for peer-to-peer fundraising efforts. Less than tech savvy or light on staff? No problem! GiveCloud can provide you with a beautifully designed, fully-functioning website equipped with online donation and registration forms and ticketing that sync donor and registrant information with DonorPerfect Fundraising and Donor Management System. Learn how to retain your donors from start to finish! Don’t miss out on this important fundraising event.